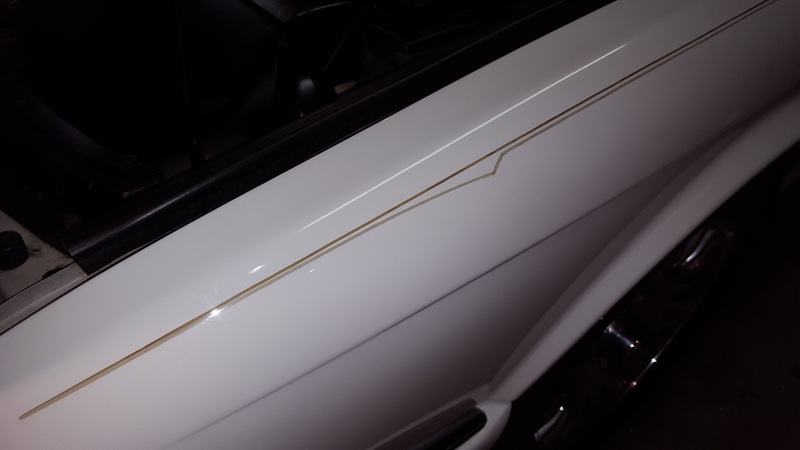 Car has been given a 90's "gold package" with various gold trim accents. Not sure who, what when or where this was done to the car but would like the factory look better and will work to replace most gold parts with factory chrome. 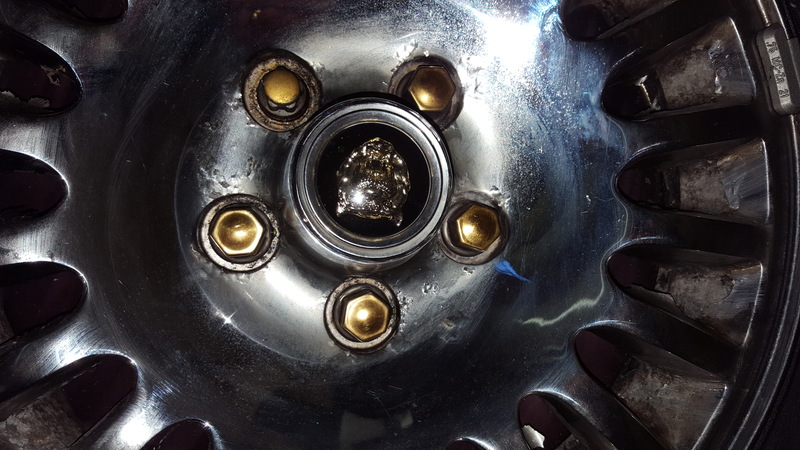 My question is with the wheels; they are chromed and are starting to peel. The spare wheel is a match, except brushed aluminium. Are the chrome wheels factory or are they supposed to be the brushed aluminium? Did this car come with factory pin stripping or should I remove it? What is a good fix for the flaking silver paint on the plastic engine cover? I'm sure I'll have other questions as I go along so any help is appreciated. I've been daily driving a very nice, although high mileage, 97 XJ6 for over a year now and absolutely love it. 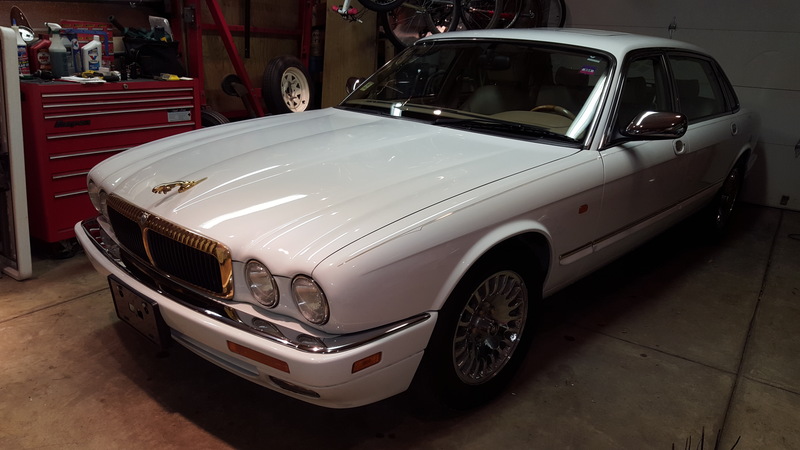 A chance came up to buy this near perfect 96 XJ12, one-owner, 57k car and jumped on it. This car is amazing to drive and takes the experience to the next level, although I'll feel a little guilty putting miles on it. Thanks again for any help. Chrome was an option. Seems odd that sometimes cars with chromed wheels still have an alloy as the spare. I think the consensus is that most X300 cars came with factory pinstriping (coachlines); it is painted on and clearcoated. Of course there will exist other versions these days because of resprays. I have not seen an example with the arrow detail yours shows on the front fender. If it appears to be original, removal would be difficult without an overall respray. Scraping or sanding it off is a good fix! Thats what I did. I imagine it would be possible to repaint the ridges to preserve the original design, but seems like it would be tricky to get a good result. Congratulations on your new XJ12. A lucky find! Enjoy it. As a follow up, I was able to talk to the original owner and he confirmed he had the gold package installed on the car. 24k plating. So I'm still looking for a six piece set of chrome door/body moldings off an XJ12 or VDP to replace the gold molding. Also wondering if the chrome door handles of an XJ12/VDP come off the painted handle assembly or are they not removable? I'll be needing the chrome handles as well. I ordered the correct emblems for the 96 XJ12. 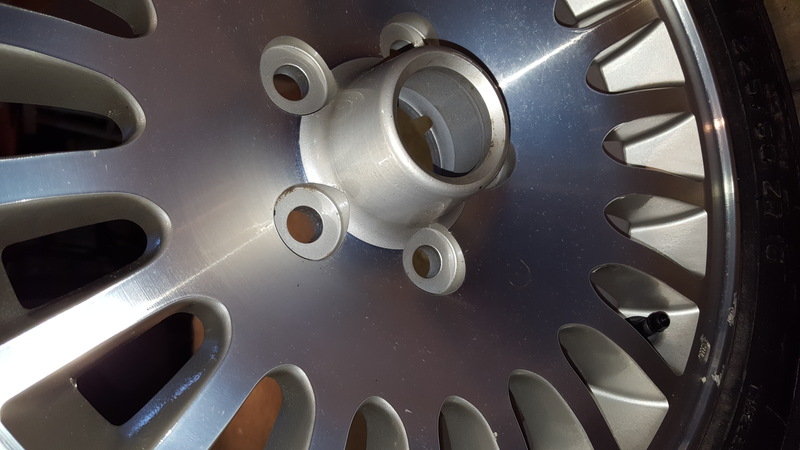 The coach lines and chrome/silver wheels are original however they are starting to peel inside the spokes so will be looking for a solution for that eventually, and some chrome lug nuts to replace the gold. 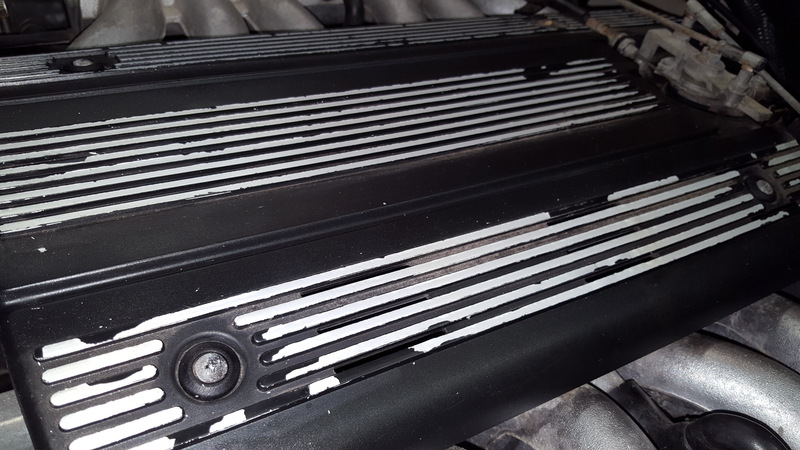 The v12 package from xj40 through xj300 series had either a pinstripe and or chrome ban across the top, Late xj40's had both. Your gold bling package was an order item through the dealer . Under Ford and the premier group they were adding more and more option packages to appeal to larger audiences. My sister had a long wheel base VPD/6 CYLINDER 1996. Gold leaper and grill surround. Chrome wheels as well. The chrome was horrible for peeling of as it heated up because underneath it was ALUMINIUM! If you look close your wood shift knob will have a GOLD jag head instead of silver, same on the airbag as well. Someone went nuts with the wheel lugs though? IMHO, Unless your making a statement in downtown CHICAGO, Call Welsh jag they should have replacements in chrome. The pinstripe was also to soften the line of the extended body for 1996 . Thanks for the insight. The car does also have the gold growler on the steering wheel and **** knob, but that might be common on X300 XJ12's? I'll save all the gold parts that come off but will work over time to de-gold.